This is a guest article by forensics consultant, and trainer, Dan Mills. Bio below. In the field of forensic investigation (accident reconstruction, crime scenes, industrial accidents etc. ), the measurements and locations of key pieces of evidence are important to the overall investigation. Many measurement methods, from simple measuring tapes, to LiDAR scanners, to photogrammetry have been used and admitted to court as admissible evidence. Michael Mayda recently wrote a great blog post outlining the use of photogrammetry within forensics. Some readers may be new to photogrammetry, and are using it specifically for drone/UAS applications – given the sharp increase in availability of cost effective UAV and powerful software. The good news is that the same math and methodologies are used in close range aerial photogrammetry, as have been used on the ground-based versions and court admission. Let’s dig deeper into how the courts actually test admissibility of methods and evidence, and then how photogrammetry and PhotoModeler has successfully been admitted and used in trials. To give the courts a method of deciding on the validity of the evidence and methods used to derive it, the courts have developed a few tests for technical and scientific evidence. US Federal courts look to one of a couple of test, usually either the Frye Standard, Rule 702, or the Daubert Standard. In Frye v. Unites States 293 F. 1013, 1017 (D.C. Cir 1923), the Frye Standard or Frye Test was developed in discussion about the admissibility of polygraph tests as evidence. For the resulting Frye Standard to be met, scientific evidence presented to the court must be interpreted by the court as “generally accepted” by a meaningful segment of the associated scientific community. 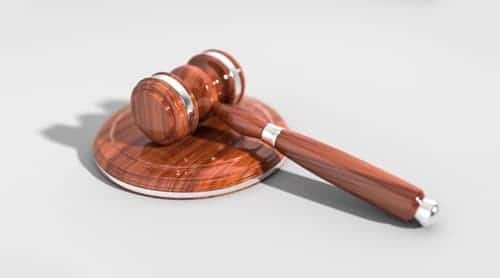 Over 50 years later, in 1975, the Frye Standard had an update in the form of the Federal Rules of Evidence, which were created to guide criminal and civil litigation in federal courts. Whether the expert’s theory can or has been tested. Whether the theory has been subject to peer review and publication. The known or potential rate of error of a technique or theory when applied. The existence and maintenance of standards and controls. The degree of which the technique or theory has been generally accepted in the scientific community. Since then, there have been other slight modifications to the wording to help clarify meaning for the trier of fact. Even with this apparent clarity, different states still chose to apply different standards when deciding on the admissibility of technical evidence. The majority apply Daubert, a smaller percentage use Frye, and 3 states apply their own version that is neither Daubert or Frye. Has photogrammetry be put through admissibility hearings? Yes! A simpler form of reverse projection photogrammetry has been put through a successful Daubert hearing (United States of America v. Zebediah Kyler (U.S. Court of Appeals, Eleventh Circuit, FL 2011)). The only other record that I know of (please contact me if you know of others) was a Rule 702 hearing in Cline v. Kandarian Farms (Fresno CA, 2010). In this case, photogrammetry, and specifically PhotoModeler, successfully completed an admissibility hearing. Please contact Eos Systems (sales@photomodeler.com) for a detailed list of cases where PhotoModeler was admitted and used in court. Part of what made photogrammetry, and specifically PhotoModeler, get through the admissibility hearing was extensive peer reviewed publications validating its application in forensics, as well as testing its accuracy and repeatability. Copies of relevant publications can be viewed on the PhotoModeler Case Study page. SAE publications about PhotoModeler date back to 1997, and showcase the longstanding history of PhotoModeler’s use in forensic analysis. Randles et al. (SAE 2010-01-0065) published a paper to both validate accuracy against other common measurement methods in accident reconstruction, as well as to aid in Nevada courts analysis of photogrammetry’s admissibility. As you complete your photogrammetric analysis for court purposes, be it of a crush vehicle from unknown photographs, or a larger scale map from a UAS/drone, you need to consider that both the software you use, as well as your work flow needs to be reproducible and verifiable by someone else. To aid in this, your chosen software should have the proper tools to evaluate and output an analysis of errors, both of individual measured points as well as the overall quality of the project. This helps you to find problem areas, for example where measured points may not have been marked correctly, or the camera calibration having some issues. In the 20 years that I have used PhotoModeler as part of my forensic tool box, I have always found that it had all the functionality required to make me confident in offering up my evidence for use in court proceedings. Since 1996 Dan Mills has been the owner of DCM Technical Services Inc, a measurement consultancy, as well as being a co-founder of the Bublcam, the first consumer spherical camera. Dan has been qualified as an expert in photogrammetry in various levels of US and Canadian courts, and an invited speaker on the topic. Dan is also the sole authorized provider of PhotoModeler’s Training Course.